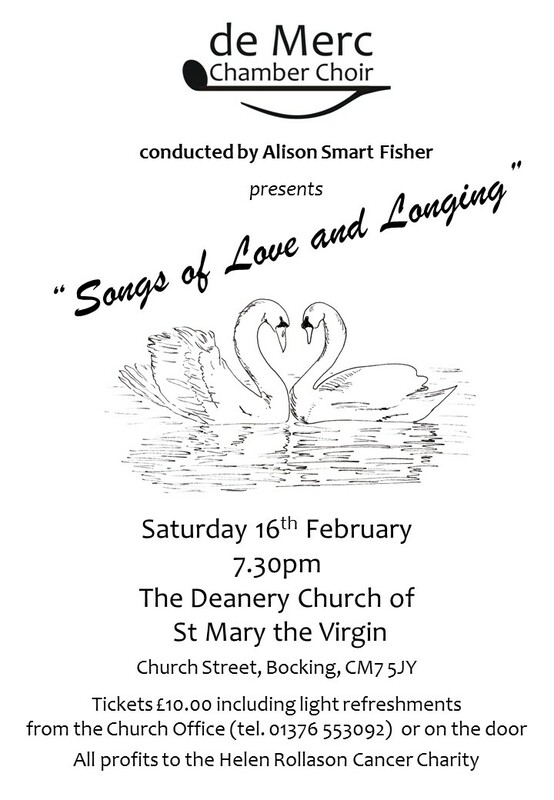 Join us for a Valentine’s musical extravaganza on the theme of Love and Longing. Tickets £10.00 including light refreshments from the Church Office (tel. 01376 553092) or on the door.